On 8 July 20 the riders left Arras early in the morning. Stage 5 took the riders from Arras, the capital of Pas-de-Calais, to Amiens, the capital of the Somme. Picardy is the region of France which saw particularly fierce fighting during the First World War. As a result, there are a number of memorial sites in the area. The pack rid along the South African memorial in Longueval, the British Memorial in Thiepval and the Australian Memorial in Villiers-Bretonneux. 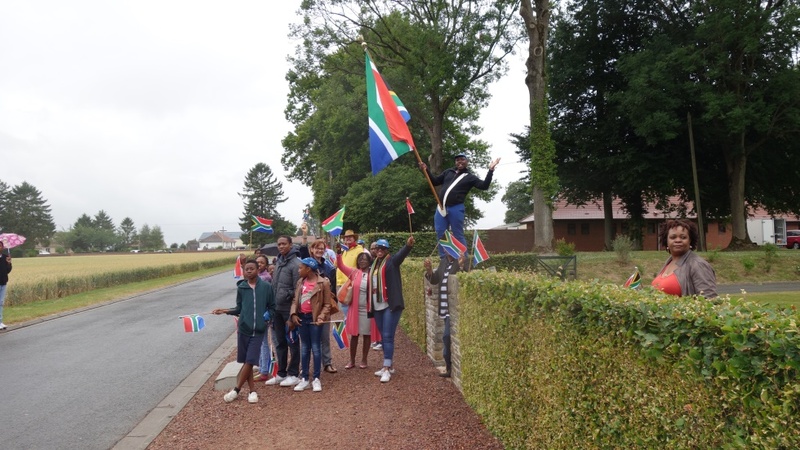 The staff members of the South African Embassy to France came in large numbers to support and encourage the South African team M MTN-Qhubeka and on the occasion, Ambassador Rapu Molekane, who made a stop at the South African Memorial in Longueval, said a few words. 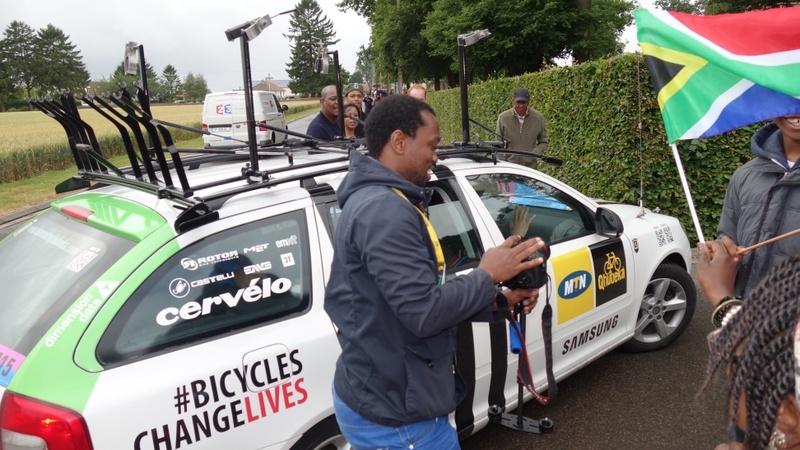 “On behalf of the South African government we are proud and indeed encouraged that our MTN QHUBEKA Team is participating in the prestigious Tour de France cycling race. Cycling is a unique sport but most importantly in the SA context it was always a sport for a privileged few but today our people from all spheres have access to cycling which promotes inclusiveness, healthy and responsible living and on that note we give credit to the government of South Africa and various stakeholders like MTN and Samsung. 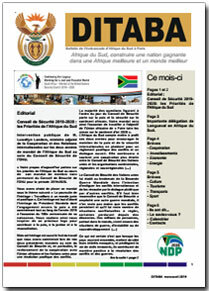 South Africa promotes clean and healthy sport through our endeavour and process of the UNESCO anti-doping initiatives. In that regards we would like to showcase that through sportsmanship which encompasses unity, discipline, dedication and most importantly our achievement, transformation to make sports and recreation accessible for all our people regardless of gender, race and creed. It is for the first time in the history of Tour de France race that we have this African team. 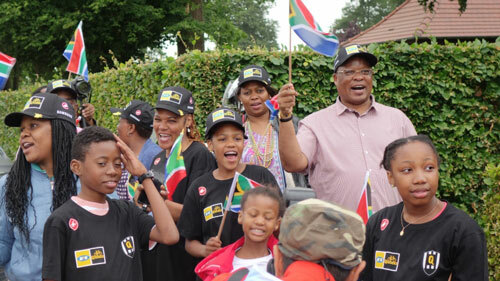 It is also an honour and privileged that the team passes through this sacred and historic place where all South African soldiers of the First World War are honoured and remembered. They paid the supreme sacrifice for a noble cause, which is that of humanity. We wish our team all the best of luck and may they continue to do good work. We look forward to the final race in Paris on the 26th of July.